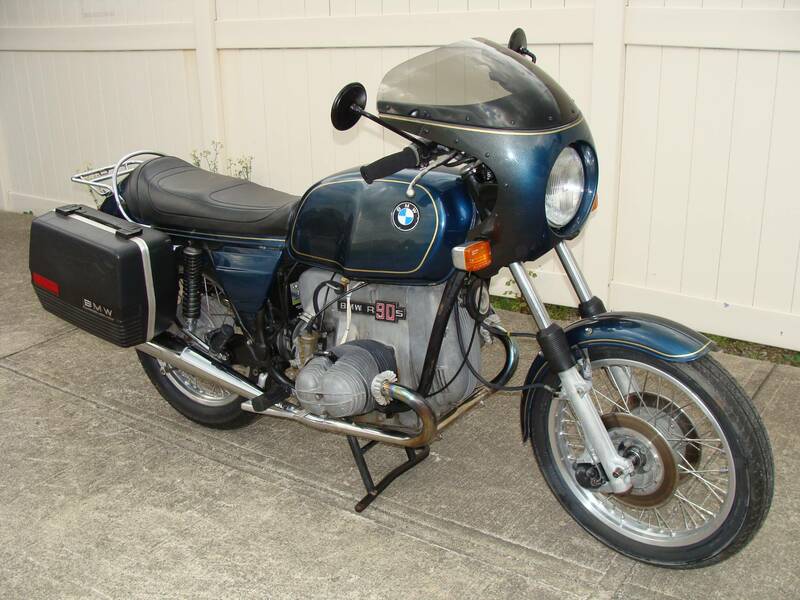 This sleek 1974 BMW R90S is fully serviced and ready to ride. The bike has a Midnight Blue Smoke on Charcoal paint job. The motor was fully rebuilt 16,000 miles ago, top end and bottom end. The motor has had the popular dual plug conversion, creating more power and torque, and allowing easier starts, faster warm-ups, better fuel mileage, and a cooler running motor. The bike includes a pair of Krauser Saddlebags, a Remolds Ride-Off centerstand , a factory tool kit, and Krauser “S” Tailpiece add-on small rack. The battery is a new sealed type. We rebuilt the del’Orto carburetors, relined the fuel tank with POR15 fuel tank liner, new fork seals, all new wheel bearings and seals, and rebuilt the petcocks. We performed a complete factory recommend 10K Major Service, after which we put on a 500 mile shakedown ride to be sure everything is tight and right (also, it is a VERY sweet bike to ride!). The tires are in VERY good condition. 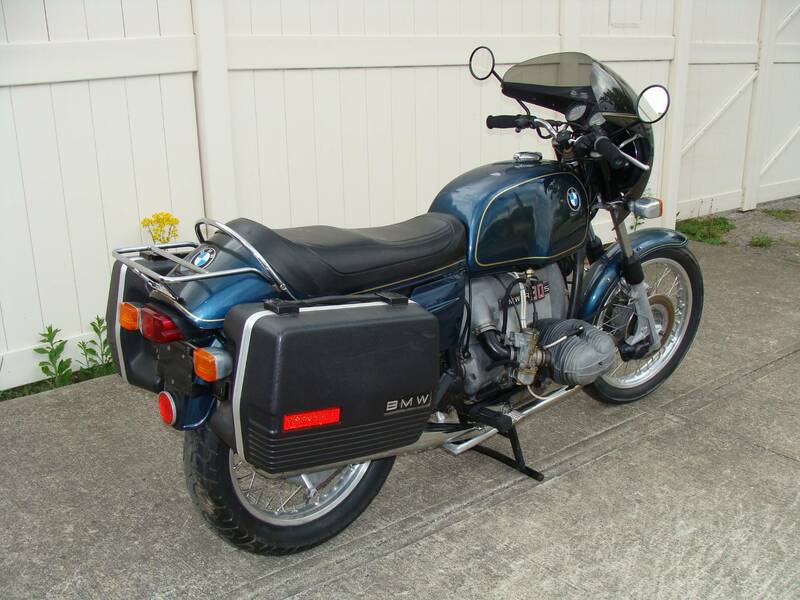 The exhaust is clean and solid and has replica mufflers with a nice note without being loud. The Odometer shows 61,520 Miles. 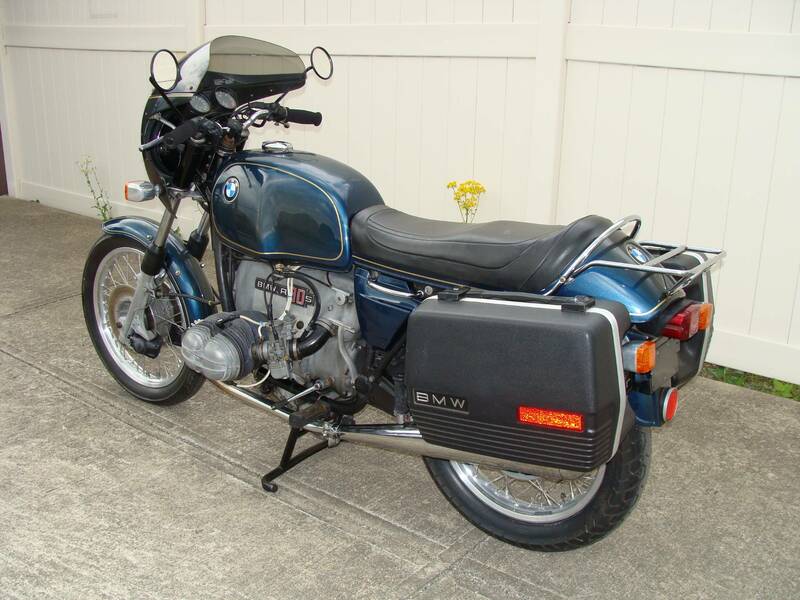 The owner has had this bike since 1977 when it had only 7,000 miles on it. 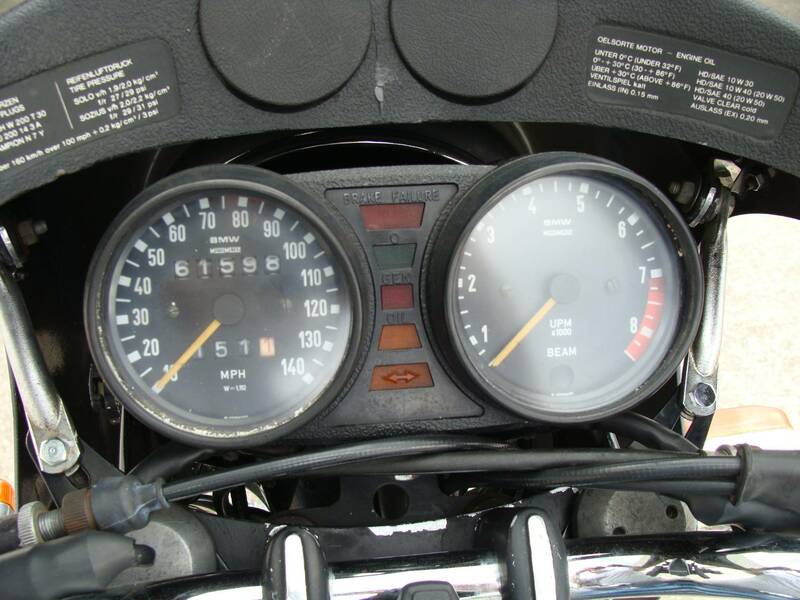 It is obvious that this bike has been maturely ridden and very well taken care of throughout its life. The engine and frame have matching numbers, and the title is clear. The “S” handlebars have a worn patch in the chrome in the left side upper bend area. 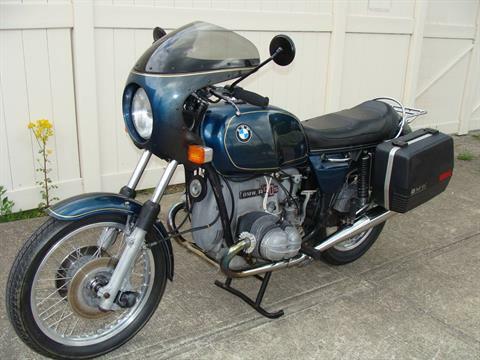 The BMW R90S model continues to be in high demand worldwide, and prices continue to rise as they get older and harder to find in good condition. The motor is VERY strong and responsive. The ride is smooth, yet the bike takes the corners like it is on rails. This bike will make either an ideal sport touring bike, or a dependable commuting bike. We would be happy to answer any questions you have about this BMW motorcycle; please call us at 614.837.1160. To see more high resolution views of this bike in detail, please copy the link below to your browser search bar to direct you to our online photo storage on Picturepush, or request our series of high resolution photos via an email to bmwparts@re-psycle.com. We would be happy to provide you with a quote for enclosed, insured, to-your-door delivery by a carrier we have a good history with.